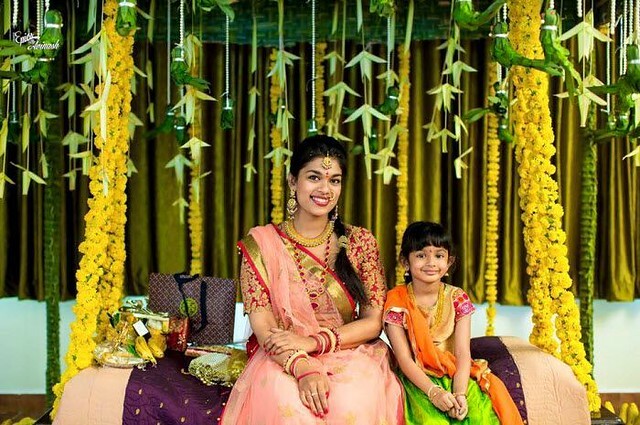 Chiru’s Youngest Daughter Srija Second Wedding Details: Srija married her college sweetheart Sirish Bharadwaj in 2007. The couple, who have a daughter, were divorced in 2011 after Srija claimed that her in-laws ‘tortured’ her for dowry. Srija has been living with her parents ever since. Her parents decided to do another marriage to her. All their family members agreed to Chiranjeevi’s second daughter Srija marriage proposal. Now, Srija is ready for her second marriage. According to reports, Sree ja is all set to get married to an NRI, who hails from Chittoor, on March 28th at Bangalore Farm House and Reception on March 31st, 2016 at Park Hyatt Hotel, Hyderabad. The families of both the bride and groom have reportedly known each other for quite some time now. 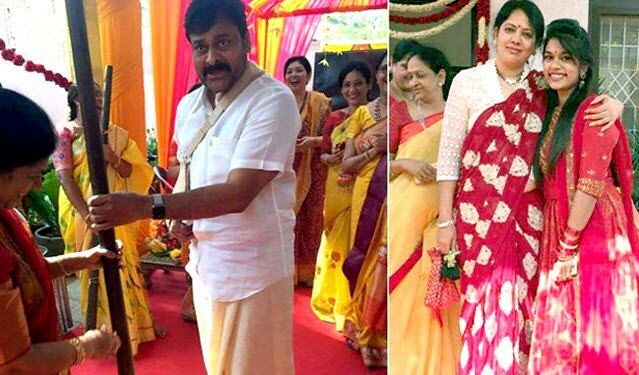 Here we are giving the complete details regarding Chiranjeevi’s Daughter Srija Wedding Date, Venue, Place, VIP Guests, Marriage Function Live Streaming Videos and more. Srija Kalyan marriage venue: Bangalore Farm House. 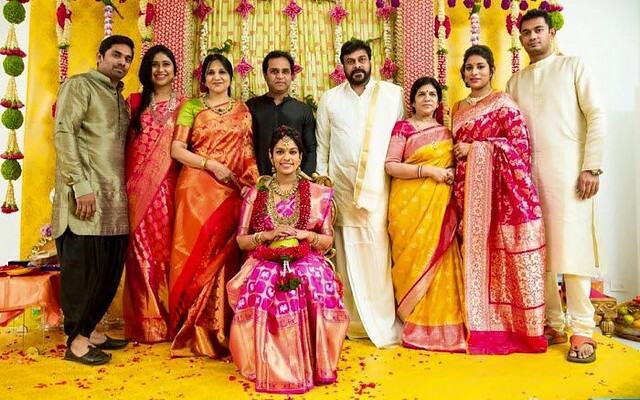 Mega Star Chiranjeevi’s Daughter Srija is going to marry an NRI Kalyan, the groom, is from Hyderabad too but the family is from Chittoor and they are into the jewellery business. Kalyan lives in the US. The families of the bride and groom are said to have known each other for a long time. Wedding celebrations also started at Chiranjeevi house in Jubilee Hills. Megastar Chiranjeevi also very actively and joyfully celebrating the celebrations. some photos of Pasupu Kunkuma ceremony leaked on the internet and going viral. As per reliable sources, Chiru daughter Srija second marriage is planned very grand. 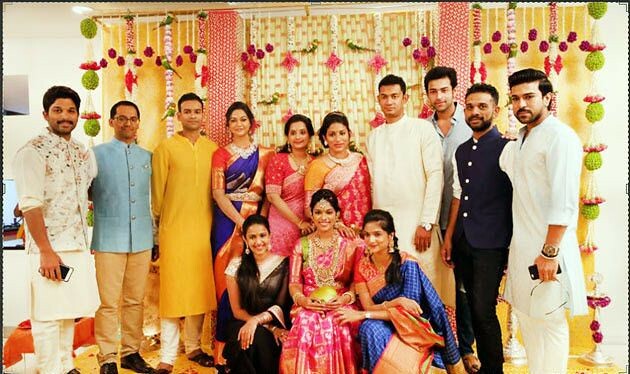 Popular celebrities from Bollywood, Tollywood, Kollywood and Sandalwood heroes and heroines will attend Srija second marriage. Srija wedding would be March month biggest event. According to the reports, Power Star Pawan Kalyan will also be attending the marriage event. Chiranjeevi may call Tollywood stars Balakrishna, Nagarjuna, Prabhas, Jr NTR, Mahesh Babu, Ravi Teja, Rakul Preet Singh, Anushka, Tamannah, Samantha and other stars. Chiru may also invite Telangana CM KCR, AP Chief Minister Chandrababu Naidu and other politicians across the country. Check: Top 10 Best Telugu (Tollywood) Movie TRP Ratings All Time In TV Channels. As per information, Chiranjeevi daughter Srija second marriage live streaming will be available on TV9, NTV, ABN Andhra Jyothy. But, the time and date is not officially confirmed by channels. We will update it whenever the info is available. On behalf of Chiranjeevi fans and his well wishers, “Wish you a very good days ahead in your future, Srija”. Hope you like this, Chiranjeevi’s Daughter Srija Second Marriage / Wedding Date, Venue, Time, Place, Live Streaming Videos and more. If you like this, then please share it to your friends. ICC T20 World Cup 2016 Schedule | Live | Teams.